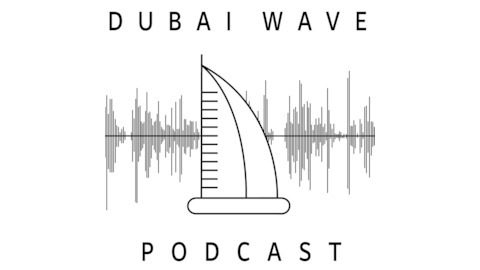 Dr. Spencer Striker, Digital Media Professor at the American University in Dubai has launched a new podcast called Dubai Wave, produced by him and his students in a newly launched course called Digital Podcast Production. 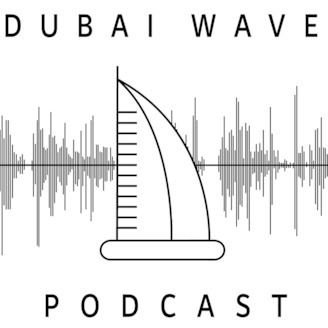 The Dubai Wave Podcast’s influential Season 3 continues with a riveting conversation with one of Dubai's ultimate music industry insiders! Thrilled to present our world exclusive with the one and only Saif and Sound. A UAE based Radio Host, DJ and MC: his Music and entertainment company “Saif and Sound” has taken the Dubai music industry by storm! Produced by Dr. Spencer Striker, Digital Media Professor at the American University in Dubai, the show is created with the help of a talented student production team at AUD. About SaifA music "multitasker" - is how Time Out Abu Dhabi describes Saif. Born in the capital city of UAE, Abu Dhabi, he started his career in 2005, as he was a DJ for various pool parties, school proms and private events as a teenager. He has grown to achieve numerous achievements in the region that gained him an established reputation, along with an active and growing fan base. Saif starred in the ‘Anghami’ app advertisement, which was broadcast across all MBC channels. He was also invited to speak at ‘Ted Talks’, an internationally popular motivational speaking event. ‘Yasalam’ (Flash Entertainment), one of UAE’s biggest events during Formula 1, invited Saif to be a mentor for the ‘Emerging Talent Competition 2015’. Saif is the official Brand Ambassador for the online platform of daily deals in UAE, ‘CutWallet’. Also, check out Saif’s updates in local magazine ‘Tempo’ on a monthly basis. In April 2015, Saif introduced his new company ‘The Project’, a DJ Booking and promotion agency that offers services of club promotion as well as a DJ line-up. Having previously worked with most of the A-list nightclubs and venues in Abu Dhabi, such as People by Crystal, Saadiyat Beach Club, Sax Club, ‘Musicology’ at Stills Bar, The Yacht Club, Legends, Up and Below, and more: ‘The Project’ is continuing to gain recognition for delivering top eventsSaif and Sound is one of the most established personalities in the Music & Entertainment industry in the UAE. Having taken part in some of the region’s biggest events. Saif’s ability to perform at the highest level comes as second nature. As a result, he has performed in the industry’s biggest events. Saif began as a record breaker. At 19 he was the youngest ever radio host in the UAE. Inspired and driven by his passion for the music industry, Saif now hosts the “Drive Show” on 104.8 FM Channel 4, one of the most popular radio shows in the country. Saif’s unique style has earned him a reputation as one of the region’s favorite radio hosts, consistently providing the best music and most interesting current topics of discussion and entertainment. He has interviewed the likes of Rita Ora, Sean Paul, French Montana, Craig David, Tiesto, Mark Ronson, and more! Away from the Radio, Saif has performed in the region’s biggest events such as the 2017 & 2018 FIFA Club World Cup, 2019 AFC Asian Cup, Abu Dhabi F1 Grand Prix, Dubai Cares Walk for Education 2019 and 3 Editions of Beats on the Beach alongside J. Cole, Travis Scott, Jason Derulo and more! Saif’s stellar reputation is well known among industry greats, with legendary Hip Hop Artist Juicy J specifically requesting for Saif to open a crowd of 30,000. This reputation has led Saif to open for the world’s biggest names in Coldplay, Katy Perry, Nicki Minaj, Cheb Khalid, Sam Smith and more! His ability and passion for entertaining a crowd has led him to host brilliant events such as Sole DXB, Yasalam Emerging Talent Competition, NEO Run, Red Bull Air Race and the ITU World Triathlon, to name a few.